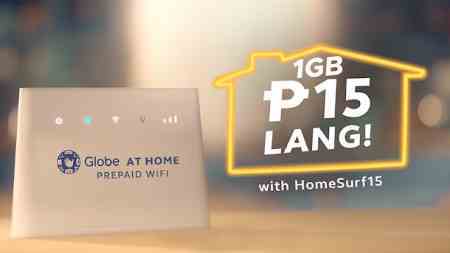 Globe HomeSurf15 : 1GB Data Add-on for Prepaid Home WiFi, for only 15 Pesos: Globe Home WiFi subscribers can record the most affordable 1GB data display with the HomeSurf15 offer. For only 15 pesos, you can have 1 GB of consumable data for one day. The Globe HomeSurf15 is available as an exclusive GOSURF50 add-on. You can register HomeSURF15 as many times as you want, as long as the GoSURF upgrade is not finished. Browse the web, Facebook, Twitter, Instagram, listen to music, stream videos on YouTube and play Legends with your friends or family. In addition to HomeSurf 15, you can also choose Promob HomeSurf Promos with larger data customizations, such as 10 GB for 10 days P349 and 15GB for P599 valid for 30 days. Description of promotion: 1GB data Load amount: 15 pesos Validity: one day Registration procedures: The following are the different ways to register Promo Globe HomeSurf 15. Simply choose a method that is more convenient for you. Globe Share-A-Load / Promo allows Globe subscribers to transfer promotions such as the Globe Home Surf Promos to their prepaid WiFi network. Format the sample text: Send the text to HOMESURF15 and send it to 29271234567 2. Answer Yes Automated response text to continue the share transaction to the promo. 3. Wait for SMS confirmation and enjoy browsing at home! Note: The P1.00 transaction fee will be charged in addition to the preferred promotional price. Share-a-Load allows only 5 transactions per day. Register HomeSurf15 through the Globe At Home application. First download the Globe application at home and connect your mobile number. 1. Open the Globe at Home 2. Go to Dashboard 3. Touch + Get More Data 4. Select the promotion you want from the list and click Subscribe. 5. Done! With the Globe At Home application, you can easily download, track and manage your prepaid home WiFi. Use your phone with a SIM Globe 2. Choose My Account 3. Choose a Globe at Home 4. Choose a prepaid Wi-Fi Globe at home 5. Enter a number of pre-paid Wi-Fi 11 numbers (eg 09662756289) located on the back of Modem 6. Choose to get information 7. Choose from one share in promo PIN or one share in promo without PIN (if you choose one share in Promo PIN, enter PIN) 8. Choose HOMESURF15 Promo 10. Transaction 9. Confirmation done! Wait for the confirmation message to pass before moving. 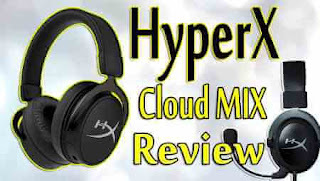 HomeSurf15 recording across the globe AutoLoadMax AutoLoadMax is an electronic charge (load e) that lets you download prepaid purchase credits or HomeSurf upgrades to your prepaid account. Action: 1. Go to the nearest store (a sari shop or a shop) with the AutoLoadMax Globe Store 2. Tell the store owner to charge HomeSurf15 3. Give your Wi-Fi prepaid number of 11 numbers (eg 09271234567) located on the part Back of modem 4. Provide payment to store 5. Wait for successful confirmation message and start surfing the internet! Check HomeSurf Residual 15 Data Set To check the distribution of your remaining and prepaid balance data, go to the Globe Panel applications at home. You can also access the integrated SMS open your browser and go to 192.168.1.1, then go via SMS and send HOMESURF status message to 8080. Know how much you can do with 1GB of HOMESURF15 offers mobile data distribution. Below are the various Internet activities, you can do one of these activities for a day. I can spend 16 hours surfing the web, based on one hour of surfing the web, which uses an average of 60 MB. I can spend 10 hours on Facebook, based on one hour of browsing on Facebook, which uses an average of 100 MB, not including live streaming. You can watch 68 views of your video on YouTube, based on a 4-minute video quality of 360 pixels, which uses an average of 15 MB. I can send a 34,133 message on WhatsApp, based on sending a text message WhatsApp only, which uses an average of 30 KB. You can send 34,133 emails using Yahoo Mail or GMail, based on one email sent and received without attachments, which uses an average of 30 KB. Spend 4 hours of video chat on Skype, based on a 60-minute video chat that uses an average of 224 MB. It can transfer 256 tracks on Spotify, depending on the sending path, which uses an average of 4 MB. You can see 538 videos on Snapchat, based on a single video view, which uses an average of 1.9 MB. You can spend 16 hours and 40 minutes playing Mobile Legends and another Android-like application, based on the game without updates that use an average of 1 MB per minute. For assistance with your subscription to Globe HomeSurf15, you can call the Globe Customer Service Hotline by dialing 211 on your phone. Do you have any questions or comments regarding Globe HomeSurf 15? Just leave your comment below.